IAM-Based Simple Bucket Sharing Wizard. How to share an Amazon S3 Bucket. Create IAM Users and grant them permissions. IAM User Policy. 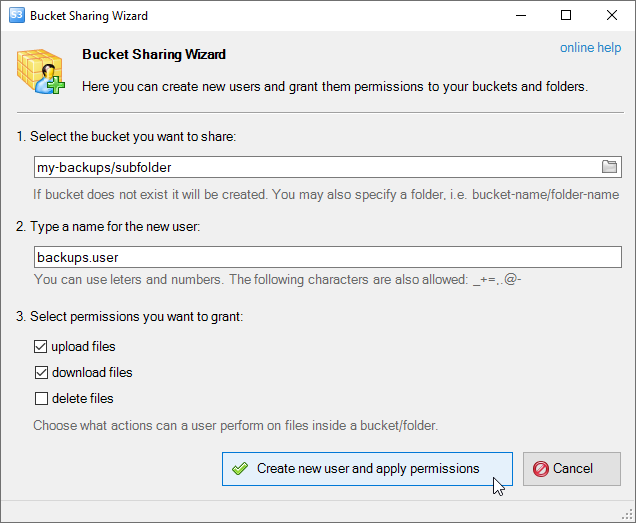 Bucket Sharing Wizard - an Easy, Painless way to Share S3 Buckets! 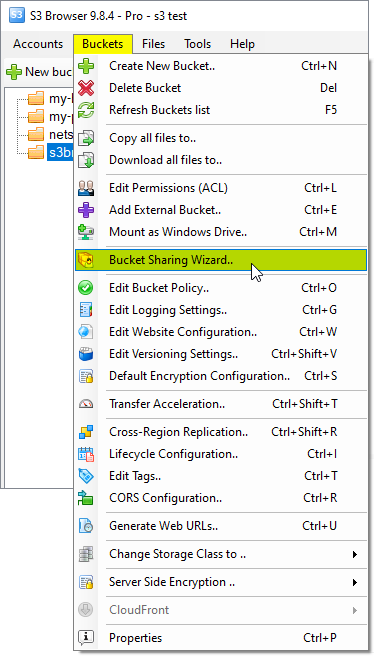 New Bucket Sharing Wizard allows you to create IAM users and share Amazon S3 Buckets with just two clicks. It eliminates complexity of creating users and keys manually as well as writing complex policies and rules. All you need is to select the bucket you want to share and check permissions you want to grant. S3 Browser will do the rest: create new IAM user, create Access Key ID and Secret Access Key, write and apply IAM Policy script. 5. Wait a second or two, S3 Browser will create new IAM User and S3 Bucket (if necessary), then it will create new Access Key ID and Secret Access Key for the user and apply IAM Policy based on the permissions you specified. New IAM user created. Save Access Key ID and Secret Access Key! Save Access Key ID and Secret Access Key! For security reasons there is no way to restore them later. 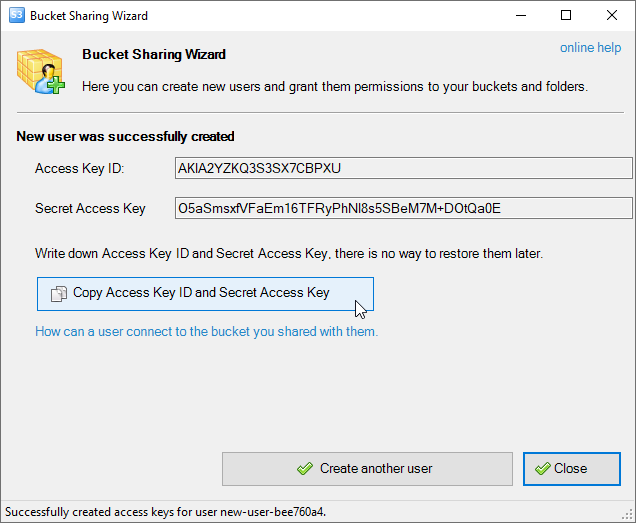 Now you can send Bucket Name and Access Key ID and Secret Access Key to another user. He or she will be able to connect to the shared Bucket using these simple instructions. Check IAM Access Manager if you need advanced management features for Users and Policies.